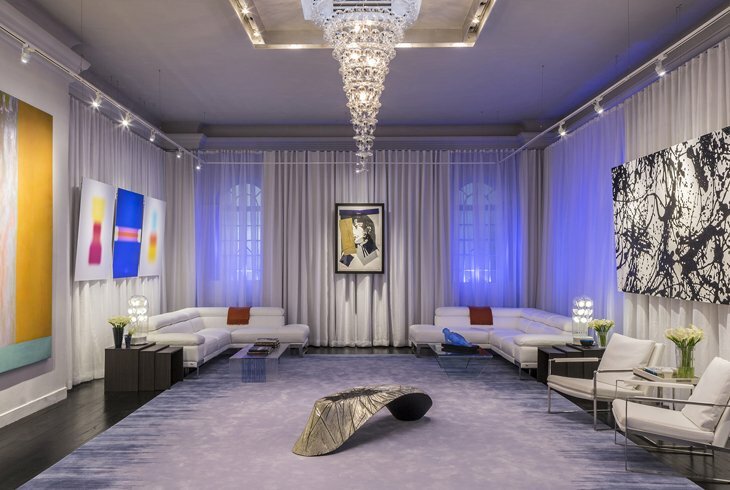 Justin Shaulis Inc generously displayed GOWNED ODALISQUE and commissioned a custom bar for his beautiful room themed “Gallery Hopping in Miami” at the 2014 Holiday House in New York supporting the fight against breast Cancer. 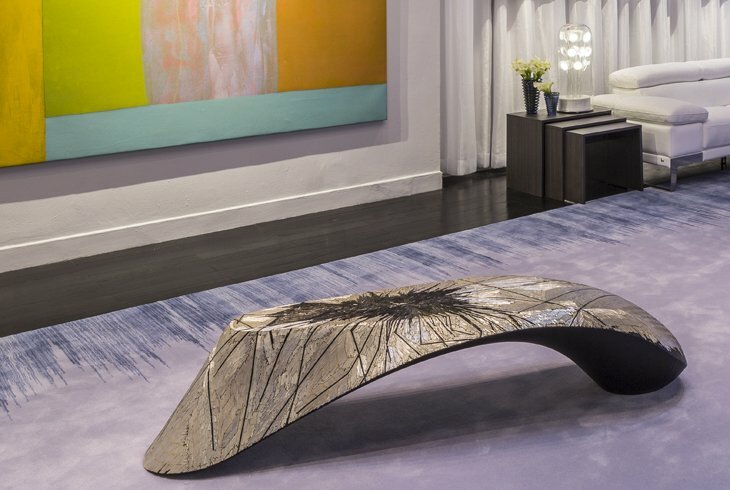 GOWNED ODALISQUE is a limited edition sculpture and bench meticulously embellished with 1,000’s of linear glass beads, each glued on one at a time, suggesting an expression of fashion and luxury. The beadwork is not ultimately meant to portray a decorated garment, but an integral skin, giving the feminine form a sense of identity. Gowned Odalisque made it’s debut at Art Basel Miami Beach in 2011. CUSTOM BAR Materials: Sculpted foam, white resin, fiberglass.